I'll be honest; I'm not a fan of shortbread cookies. Maybe if they're chocolate-coated, I'll eat them but other than that, no thank you! 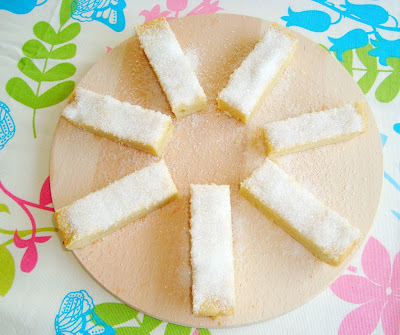 I threw these in the poll because I was hoping to change my feelings towards shortbread (and because the picture in the baking-book looked sooo good!). I'm not sure if my feelings have changed, but I discovered that dipping shortbread into whipped cream is a worthwhile extra touch! - Preheat oven to 325°F. 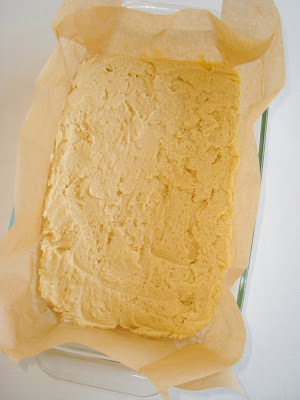 Butter a 12-by-8-inch bakingsheet and line with parchment paper. - Whisk together flour and salt in a small bowl; set aside. - In the bowl of an electric mixer fitted with the paddle attachment, beat butter until fluffy on medium speed, 3 to 4 minutes. Add confectioners' sugar; continue to beat until light and fluffy. Add flour mixture and beat on low speed, until just incorporated. - Using a small offset spatula, evenly spread dough in prepared baking sheet. Chill in the freezer or refrigerator until dough is firm, about 15 minutes. 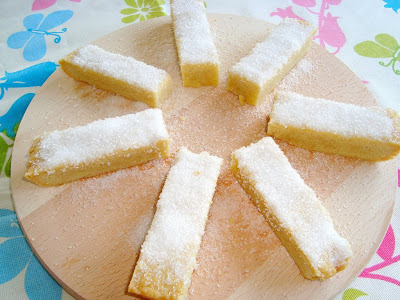 - Transfer to a wire rack and immediately sprinkle with granulated sugar. 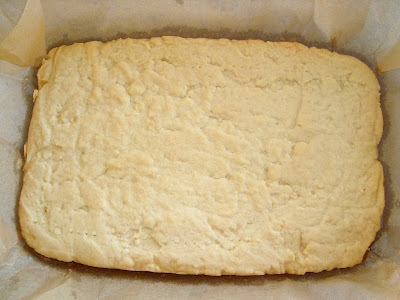 While still hot, cut shortbread into 4-by-1-inch pieces. Cool completely. Post-oven. 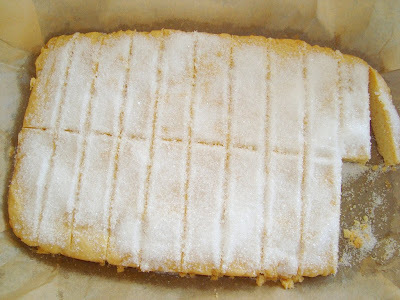 I didn't succeed in getting the shortbread 100% evenly, but that didn't matter after I sprinkled the sugar on top. Slicing the shortbread is like cutting into butter; so soft! The sugar on top didn't add much extra flavor, but I would recommend dipping the fingers into whipped cream, yum! I'm not a fan of shortbread either.. it's too buttery and where's the brown sugar?! I think I like chocolate chip cookies the best because of the brown sugar. I agree with you, I am not too fond of shortbread either. But the ones you made do look nice, and I bet they were improved by dipping them in cream! My mouth had water just looking these pics! These fingers look awesome and would probabl pair weill with a cup of tea.